With Liz Diamond, looks certainly are deceiving. This diminutive theatre director is a passionate powerhouse and a force to be reckoned with. Starting out in her youth as a Peace Corps Volunteer in Ouagadougou, Burkina Faso, Liz discovered a love of theatre there that translated into a rich and full career today – one which has deeply touched audiences for decades. 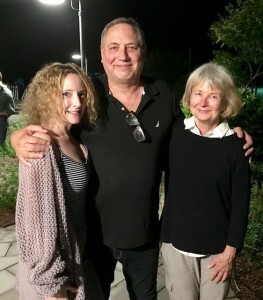 She has taught at Yale School of Drama, has served as a Resident Director of Yale Repertory Theatre since 1992, and has served as the Chair of the Directing department since 2004. 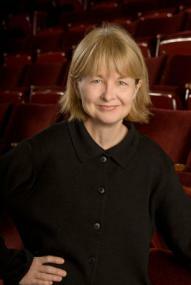 Directing more than 50 productions at Yale Rep as well as nationally, many of her productions have been both US and world premieres. 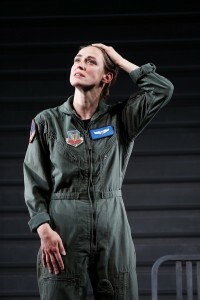 Liz also has directed documentary theatre projects and she has been awarded the OBIE and the Connecticut Critics Circle Award for Outstanding Direction. Further, Liz has taught directing at La MaMa Umbria, the Hong Kong Academy of Performing Arts, and the Shanghai Theatre Academy, where she is a Visiting Professor. Read on to learn more about this fascinating, feisty, and talented woman! PT: Liz, thank you for granting this interview! We just chatted with Elizabeth Stahlmann. We spoke quite a bit about you, so we feel like we already know you. LD: Gosh, she’s extraordinary! Right back at her. I could just go on and on [about her]. PT: We totally agree! But let’s start with you – the basics– your background. How did you get the bug to pursue this business? LD: Wow, I don’t know where to begin. But I suppose you could say that like a lot of people, there was nothing I liked better than playing pretend growing up. I think one of the things I realized looking back is (laughs) how poorly I paid attention to what it was that I loved doing all the time. When I was growing up I had this idea that I really had to go on and study international relations and so I studied history and art history and political science in college. I spent time in Europe studying and then was a Peace Corps Volunteer for years. LD: I intended to go on to graduate school in international relations and was admitted and everything. At the time – it was in the 70s – I was living in [Burkina] Faso. It was then called Upper Volta in Ouagadougou, and on my own I got involved with young people who were really new to the city themselves. They were raised by rural families living in villages, families involved in subsistence agriculture, where there was no electricity or running water. But these young people had done well in school and had made it to the city and were now involved in the arts. Some of them were my students and some were friends I had made. We were all roughly the same age. I got involved in their wonderful and rich political conversations about what it meant to be a country that was thirty years old – actually twenty years old – that had been founded by fiat. LD: Yes. When Europe divided up Africa at the end of the colonial era – what did it mean to have a national cultural identity if you had been arbitrarily carved out of a map of West Africa? These young people were so passionate about making their own cultural traditions and forms of artistic expression to address temporary issues. And they were making theatre and they pulled me in because we were all friends and all young and politically passionate people. So I got involved in starting theatre. One thing led to another and I was able to get us a grant from the Ford Foundation. 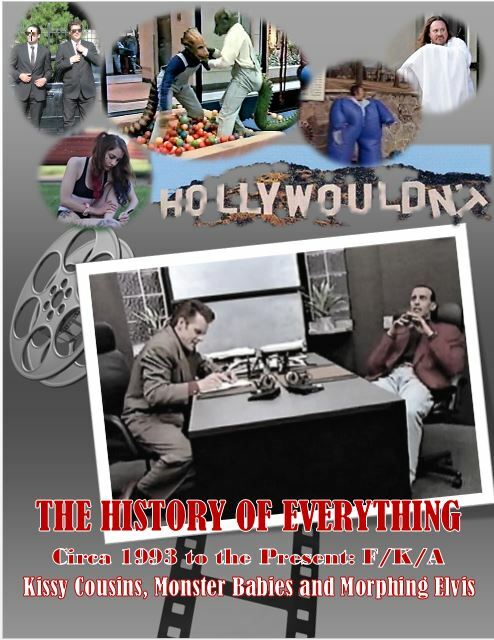 The theatre company began to develop into a theatre that produced plays that used traditional performance forms to tell contemporary stories that dealt with rural life and the collision of modernity with tradition and what that meant. We toured the country putting on plays in local villages and in local languages. LD: I was very much involved in directing and helping write the material and all kinds of stuff. So I did that for three years. I realized in the course of that that I needed to be making theatre for the rest of my life. I wasn’t going to be happy doing anything else. PT: That is not a story you hear every day. LD: I had to come home to my own country and learn what theatre was here and find out how I could contribute to it and to the cultural conversation in my own country. So back I came and I went to grad school. Frankly, I don’t really think I knew stage right from stage left. I had a lot to learn. It was the 1980s – the Reagan era. I went to Columbia and I began to just immerse myself, particularly in experimental theatre. One of my early, really rewarding experiences was to serve as JoAnne Akalaitis’s assistant director. She was an early and beloved mentor. Ellen Stewart at La MaMa was another major mentor who gave me my first opportunity to direct. Julia Miles of the Women’s Project was another. Not surprisingly these were women who were particularly and extraordinarily supportive. 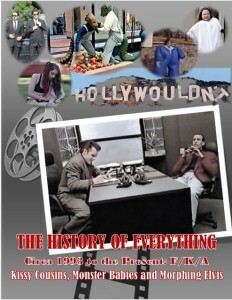 Slowly but surely I made my way and began to work with some wonderful peers who were writing plays. In particular there was Suzan-Lori Parks with whom I felt like I teamed up with – we kind of came up together. 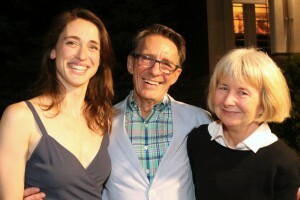 I learned an enormous amount working with her on her early plays. And frankly it was working on that material that made me feel like, Okay, this is how I can have an impact. This is how I can contribute to the conversation. LD: So that’s how I got started! PT: Truly incredible stories! So we now know you done such a diversity of theatre projects. What attracted you to Grounded today? LD: Well, I had never read it. I never saw it in New York although I should have. I know it was a terrific project. What turned me on to it was Mark Lamos [artistic director at Westport Country Playhouse]. He called me up and said he wanted to me to do this project. He proposed to me that I come and direct it here. I have enormous affection and regard for him as an artist and as a colleague. And I just thought, I can’t imagine not loving it. I practically said yes on the spot having not read the play. LD: I decided I had better do my due diligence and sit down and read it. It was a sucker punch. I mean, it was just a strong and vivid and muscular and poetic piece of writing that I had read in years. Mark was right. So I fell in love with it. 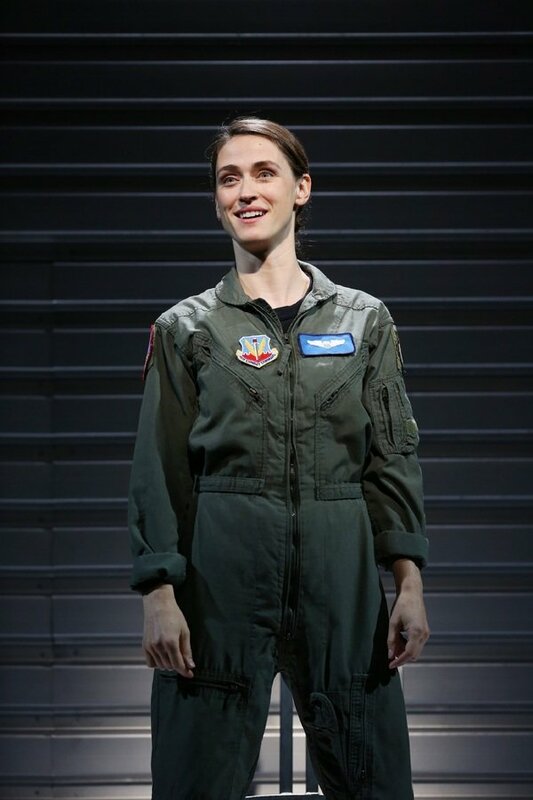 I also had this conviction that this marvelous young woman named Elizabeth Stahlmann, who I had been watching for three years at Yale, would be an incredible top pilot. So that combination of circumstances made me think, We have to do this. PT: How different is it to direct a one person show as opposed to doing a play with several characters? LD: Well, it’s a really intimate experience. There is much less wrangling to do. A theatre director, among other things, has to manage a room and make sure that you are using everyone’s time wisely – not wasting people’s talent and time. So it’s a bit of a three-ring circus when you’re doing a show with a cast of five or more people – or frankly it can be that way when it’s even three people. LD: When you are working with one person, it’s a whole other thing. It’s a very intimate experience actually and I find that my task is to create a very safe and open space; a room where Elizabeth could test the boundaries of a scene, of a moment – and I have to be her best audience. I have to help her like a conductor. Obviously, early on we did just a lot of unpacking of the story itself – of the conflict and the circumstances that would feed her as an actress. And that’s a delicious part of a director’s job always. But to be able to just focus on her allows you to work in a very fine-grained way – in a way that is harder to do when you are with more folks. PT: (Stephanie) You were saying that you are her best audience. But when we’ve seen one person shows, we know the actors have to be very engaging. There’s a big risk that they can just come off flat. So how do you bring this out of an actor to keep that momentum going and to keep that vibrancy on the stage? LD: First of all, I would say you can’t do it unless you are working with a performer who has, as a given, enormous charisma. I mean that in the kind of animalogical sense – it comes from charm, karma – you have to be working with an incredibly magnetic human being. The kind of person who captures people’s attention – that people want to watch. And Elizabeth is that. She has a vibrant presence. Brecht used to say that the great actors are the character actors and there was a muchness to them (laughs) – almost like an excess of life force. I feel that is what Elizabeth possesses. So, if you’re lucky enough to have that to start with, you are then really just talking about scoring the show. And George has done a tremendous amount of work for us as a writer because of the ebb and flow of the moments of reflection and the moments of conflict. Dramatic descriptions and really funny passages abound. The way the text appears on the page operates a bit like a musical score. So you can screw it up if you don’t pay attention to that. But if you do, it’s amazing how audible it is when you first read it out loud. Then you have to keep digging to find variety, intensity, and rhythm, and color. LD: Fortunately that is beautifully ingrained in the story. Yes, Elizabeth and I have worked really hard to create a physical life that both supports the language and keeps us watching. That has been a tremendous amount of work. But it’s been fun (laughs)! It’s not like we have been sitting around scratching our heads. PT: (Wayne) We spoke a little about this with Elizabeth. Because your roots are working with young people, what advice would you give a young person starting out in this business? LD: Um, that’s a big question. Something I say to my directing students is understand that you have to create your own opportunities to practice your art. When you are starting out, find peers that you can work with and create ways – any means necessary – whether it’s around your kitchen table, in a school setting or in a basement downtown – you have to make work. You can’t wait to be invited. I think that’s true in your whole life as an artist actually. I’m still telling myself that. You have to constantly be searching for stories you want to tell, ways you want to tell it and creating means to do it. LD: I don’t think the world knows that they need you when you are starting out as an artist. An artist creates her own space; her own necessity. I think that takes a kind of confidence, chutzpah, patience, and doggedness. If you don’t have that, then you want to acknowledge that and you’ll find other outlets for your creativity. PT: That’s an excellent answer – so well said. 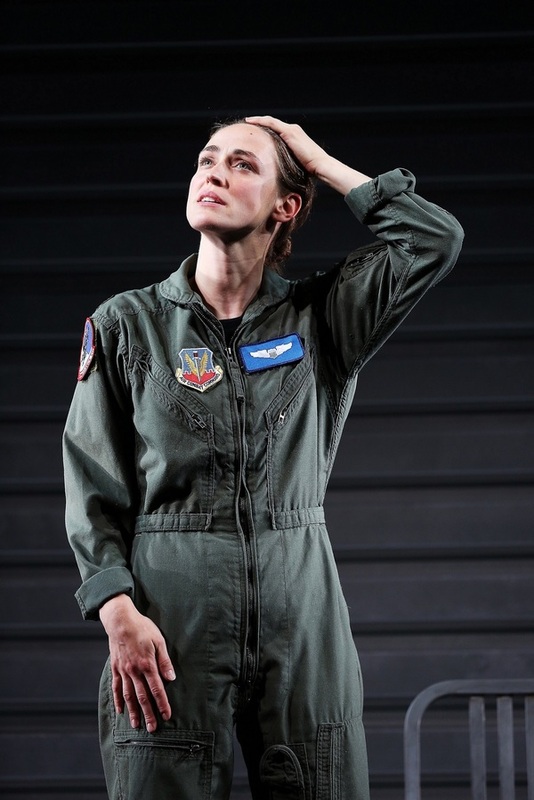 What do you hope audiences take away from Grounded? LD: The simple answer is that I want people to be moved. I want people to be just truly moved by this incredible story and the performance of this actor. That’s pretty general but it is also fundamental. I want them to be asking themselves: What does it mean to be grounded? How do we find a moral grounding in relationship to the technological warfare that puts at a distance from the acts of violence? I think the play invites audiences to consider those questions. I want people to think about the relationship of home to work – from thrusting ourselves from a domestic sphere into a work sphere for the sense of dislocation that the pilot undergoes. I think for a lot of people it’s going to invite a lot of questions about what it may mean as women become part of combat forces. Is that going to change the culture of the military? This is a pilot who in a sense has been required to embrace a culture that already exists that doesn’t appear to be changing. It’s a nice rich, gumbo of questions that this play gets bubbling. PT: We are really looking forward to seeing it. (Stephanie) The psychotherapist in me NEEDS to see it! We now have one last signature question that we ask everyone. If you had to sum up your life and career thus far in one word, what would it be? PT: That’s a great answer! LD: It’s a lucky answer to be able to offer. I must admit that I feel very lucky. PT: Thank you so much for this great, full interview! And we’re so very lucky to have had the opportunity to speak with you! 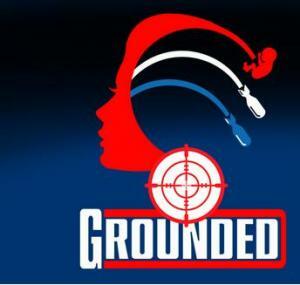 Break legs with Grounded!